as plain concrete paviers or intricate brickweave. 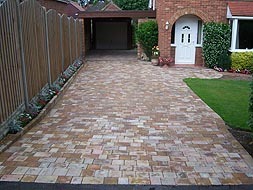 block paving, shingle and brick work to form your dream outside space. 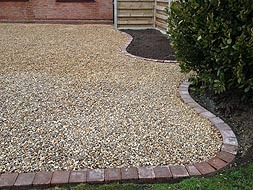 just about any surface looks great with Chelsea Setts. These smart high quality paviers are ideal for gardens, driveways, pathways, edging, just about any surface looks great with Alpha Antique & Chelsea Setts paving around Norwich. We supply and fit a wide range of fencing such as close board fencing on concrete, tongue & grove gates, palisade & lap panel fencing, or just a good old fashion garden fence. We also provide tree surgery services. 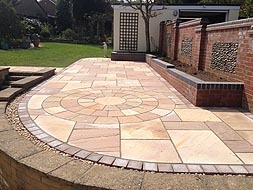 We specialise in laying natural stone, sandstone patios, brick weave, Alpha Antique & Chelsea Setts, erecting fencing and levelling ground and creating a wonderful area for you to enjoy and relax in. 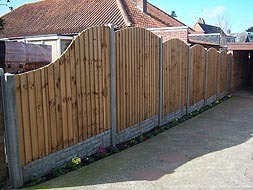 Call Jamie Gooch for all your Landscaping, Paving, Driveways and Fencing in Norwich and Norfolk. We offer services from garden landscaping and timber fencing to natural stone paving, patios and shingle, stone and gravel driveways. Jamie Gooch Ltd, an award winning Brett Approved Premier Installer offers you with the best quality landscaping services and products – Call us for your free competitive quote or just some friendly honest advice.